This weekend, snowboarder Chris Klug, and Starwood developer Edgar Stern are being inducted into the United States Ski and Snowboard Hall of fame. Though the actual hall is in Michigan, the ceremony is happening in Aspen - Klug’s hometown. There are avalanches being reported in the high country already. On Saturday, a skier triggered a large slide on a mountain near Gothic. Forecasters from the Colorado Avalanche Information Center say the activity is due to new and wind-drifted snow gathering on old, weak layers from storms in October. Brian Lazar is with the Center. Brian Lazar is the Deputy Director of the Colorado Avalanche Information Center. Good afternoon, it’s Mountain Edition. Voters in Aspen this week turned down a new lodge proposed on Main Street. Now, the developer is moving forward with an alternative. With fresh snow, mountain roads are closing and buses are getting outfitted for skis. Western Slope officials are making their message clear about the statewide water plan. And, a proposed development in El Jebel has officers realizing there isn’t enough law enforcement in the area. Independence Pass was temporarily closed due to inclement weather and stuck vehicles this morning. The pass is now open for through traffic. Now that the leaves are changing, weather officials are releasing forecasts for the upcoming winter. The jury’s out on whether the strong El Nino pattern that’s expected will bring heavy snow or dry conditions. Marci Krivonen spoke with two forecasters about their predictions. First, Joel Gratz of Open Snow. It's a weather service for skiers and riders. The numbers are out for this past ski season [2014 - 2015]. More than 7 million people visited Colorado’s ski resorts. That’s down slightly from the record-setting season one year before. Even with all of the recent rain and snow in Western Colorado, the region continues to be in a drought. Some areas have “severe drought” conditions, including the southwest section of Pitkin County. Wildfire season typically gets underway in May and June. 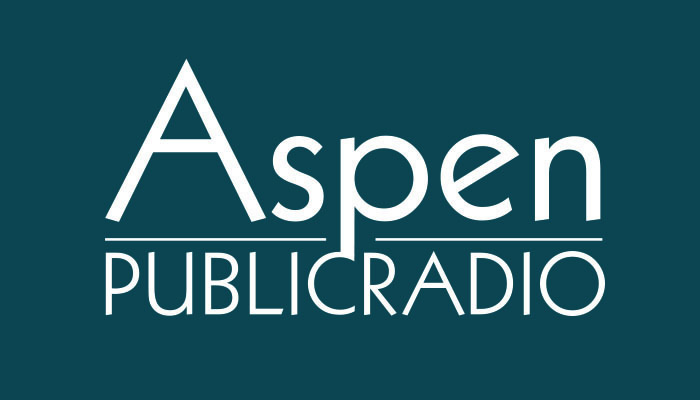 Aspen Public Radio’s Marci Krivonen spoke with Doug Paul from the Upper Colorado River Fire Management Unit about the wildfire outlook. Doug Paul is with the Upper Colorado River Fire Management Unit, which manages fire on federal lands. The Colorado Department of Transportation is planning to open Independence Pass to vehicle traffic this week. The winter gates are scheduled to open Thursday. Crews start in April, clearing the high mountain pass of snow and debris. One of the last steps is avalanche mitigation, where officials from the Colorado Avalanche Information Center set off slides, then road crews clear away the snow. The avalanche work was done Thursday. CDOT spokesperson Tracy Trulove is confident the road will open on time. Wednesday’s big snowflakes were the first major sign of winter in Colorado’s high country and one organization is already warning powder hungry skiers to be wary of avalanches in the backcountry. The Colorado Avalanche Information Center put out a statement on Wednesday warning of avalanches in October. Avalanche Forecaster Scott Toepfer says it’s not uncommon to see slides this early in the season and usually skiers are unprepared. Business leaders say Aspen is bouncing back from the recession and spirits are high, partly because of a snowy winter. "We have had an incredible winter season, which is wonderful because I’ve been up here presenting before when things haven’t been so great," says Debbie Braun. She's the Aspen Chamber Resort Association (ACRA) President and she spoke at a breakfast for business and government leaders Tuesday. As Aspen Public Radio’s Marci Krivonen reports, the resort’s total economic activity has almost reached pre-recession levels. Aspen Skiing Company says its four mountains have gotten fifteen feet of snow this winter, only halfway through the ski and snowboard season. A big contributor was a storm that dumped a historic amount of white gold in Aspen last week. Now, more winter weather is in the works, with two feet in the forecast for the next several days. There are mixed reactions from locals and tourists. Longtime locals are saying this is the most snow to fall from a single storm in decades. It might not even be hyperbole to say it is shaping up to be an epic powder day. All of this was predicted two weeks ago by meteorologist Cory Gates , owner of Aspenweather.net. Gates focuses his forecasting skills on the hyper-local microclimates within the Roaring Fork Valley. The really good news, says Gates, is that as February goes, so might go the rest of the winter; and February is looking good for snow. He says we should all remember the number 140. Gates spoke with APR's Roger Adams.